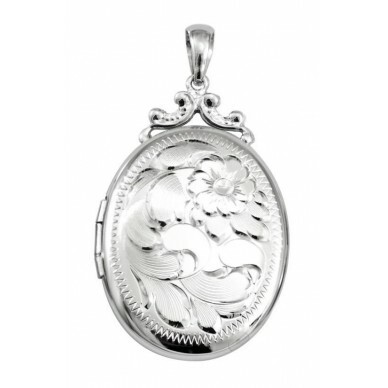 This delightfully large oval locket has plenty of room for your pictures. 1 1/8" across with a 22" sterling rope chain. The back is large and perfect for engraving if you wish. It comes gift boxed as shown, and has a lifetime warranty. 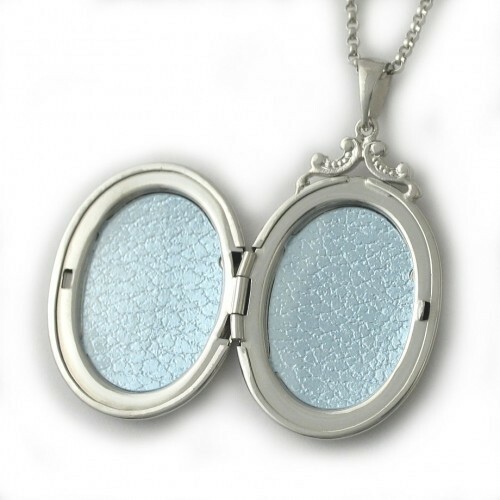 This delightfully large oval locket has plenty of room for your pictures. 1 1/8" across with a 22" sterling rope chain. 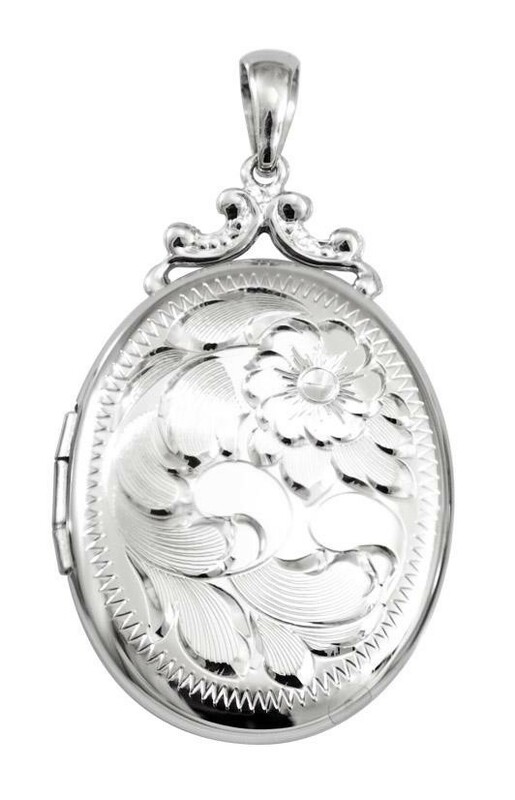 The back is large and perfect for engraving if you wish.